Check off your entire to-do list in just one afternoon! Planning a Bar or Bat Mitzvah is overwhelming and takes lots of research. When you attend a Celebrate! 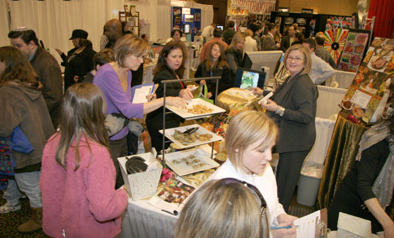 Party Showcase, you can research your options, talk face-to-face with each exhibitor, have access to exclusive discounts and minimize the stress that comes with planning this milestone event. The showcase is a four hours of fun that both parents and children enjoy. You will find inspiration for unique themes and logos, out of the box venues, favors, entertainment and much more. Spend the afternoon tasting food, trying out the latest technology and even get a fun picture taken in one of the photo booths. Additionally, each showcase also features a Mitzvah Project Fair, where you can meet representatives from several different local organizations and get inspired to create a uniquely special and meaningful Mitzvah Project.